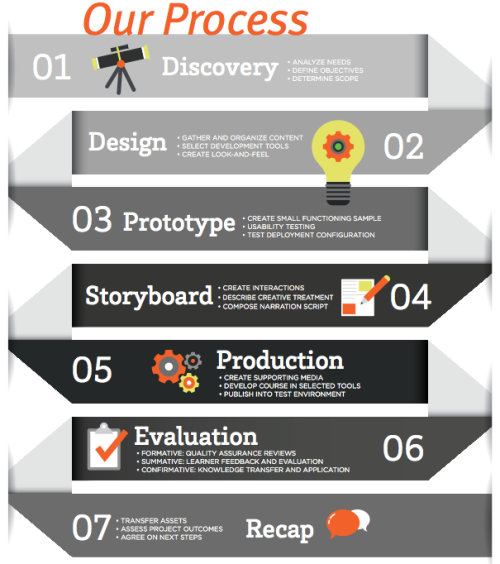 Ever wondered what the anatomy of the eLearning development process actually looks like? Diving into the step by step process will help you better understand how long a project takes, what factors go into development, and what you’re really paying for when you ask for a course to be designed. No one likes to start an eLearning project without knowing what all it entails. So today, we wanted to walk you through a recommended approach to the eLearning development. During the design phase, the course begins to take shape. Content is gathered and organized, the ID selects the best development tools, and then they create an overall look and feel for the course. Sometimes this means tying in the company’s branding, and sometimes it’s more creative and topically focused. This is also when the ID creates a design document to communicate the overall structure and flow of the course. Next, the course starts coming to life through a small functioning sample. Once the sample is ready, the ID will conduct a variety of usability tests to ensure everything works like it should on the device it will be presented on (be it mobile or computer-based.) Then, they’ll test deployment configuration (such as in the client’s LMS) to see if there are any kinks that need worked out before moving on to the next step. Storyboarding is when the ID creates the fun elements of a course—namely, the interactions. Next it’s on to describing the creative treatment and composing the narration script for any audio/video that will go into the course. Production is all about the additional media creation that goes into an eLearning course—audio, video, graphics—you name it. The course is then developed in the selected tools and published into the test environment for learners to put to good use. 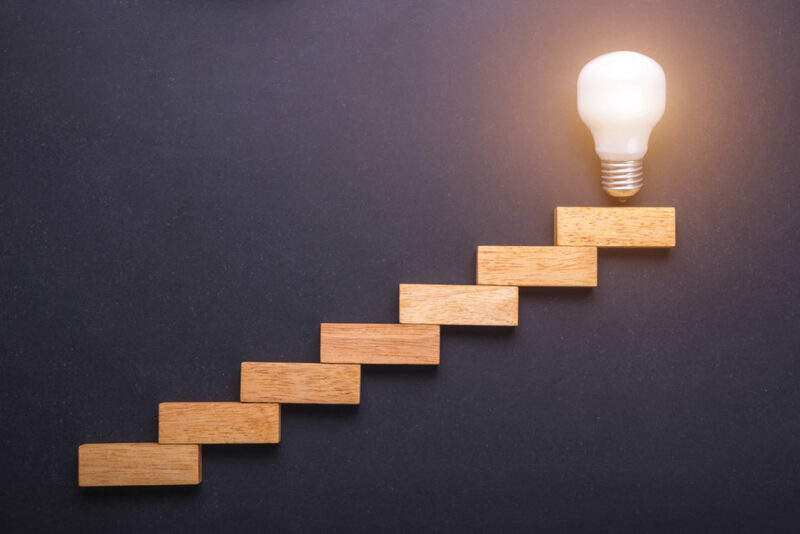 Once the course is live and is being actively used, the ID should conduct various evaluations to ensure the eLearning is doing what it’s supposed to. Formative evaluations provide quality assurance reviews, summative evaluations provide learner feedback, and confirmative evaluations explain how effective knowledge transfer and application are. The final step in the eLearning process is the project wrap up. Here, the ID transfers the final assets to the client, assesses the project outcomes, and agrees on the next steps—whether it’s a follow up course, a new eLearning project, or a plan for future updates. Because different projects have different needs, the time-frame and budget can vary vastly. This is typically how we conduct our projects (so other companies may approach this differently.) However, each project we collaborate with our clients on follows this same tried and tested process that has helped us win awards and earn loyal customers who work with us on an on-going basis. If you’d like to experience a process like this first-hand, let us help with your next project.